In the US and in countries around the world, Internet service providers (ISPs) are required to log their users’ data. That means that everything you do online is recorded--every website visit, every conversation, and even every Facebook like. This is done through your ISP’s unique IP address. When you connect to a VPN, you’re able to change your IP, thereby bypassing your ISP’s restrictions and browsing in complete anonymity...that is, unless your VPN service keeps logs. VPNs are supposed to anonymize your network, but not all of them actually keep your network private. Not sure if your VPN is truly anonymous? There’s an easy way to check. If you’re using a free service like Hola, chances are your VPN is keeping logs. That’s because free VPN services don’t have their own proxy networks, which means they’re actually using public servers to offer you access. Even worse, most free VPN services actually keep logs of your browsing history so they can sell it other companies. Some VPNs have also been known to inject malicious ads and trackers that follow your browser. So not only are you using a subpar service, you’re actually putting your privacy at risk. When looking for a VPN service, make sure you narrow your criteria to only subscription-based services, and make sure you look for ones that don’t keep logs. After all, a VPN service is only as good as the privacy settings behind it. Read up this comprehensive article 100+ VPNs Logging Policy to know more about logs. A VPN stands for virtual private network. It’s an easy way for people to hide their IP address and browse from a different part of the world. When you’re connected to a VPN, you’re able to access sites that may have been blocked before. Most paid VPNs host their own proxy servers, which means they’re able to offer encrypted connections when browsing. 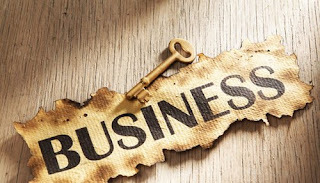 Legitimate VPN companies also offer numerous VPN locations, letting you browse from anywhere in the world. A lot expats use VPNs to unblock content like Facebook and Gmail in restricted countries. Yes, it works for sites like Netflix too. When it comes down to it, using a free VPN service may be easier on your wallet, but it’s a lot harder on your privacy. Does your VPN service keep logs? If so, are you going to stay with it? Ok Thanks for the comment.. I am upbeat to discover this post exceptionally valuable for me, as it contains part of data. Wow, thanks for the information! I have always wondered why Facebook still manages to track my browsing history even if I’m on VPN. I see those ads automatically change on my feed after looking for dog food or a new mattress. 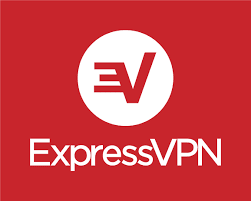 I checked the features of ExpressVPN and it seems like a good investment especially since I operate my own business online. Definitely considering to get it very soon, perhaps an anniversary gift for the company!